This twin daughters who are fused at the head but have separate bodies was born by a woman in India. 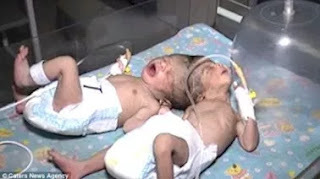 were born that they may also share one brain. village to take her to the hospital. 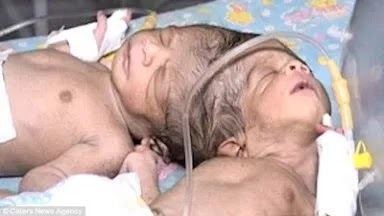 0 Response to "See The Two Babies Born With Conjoined Heads In India (Photos)"